An affordable way to try pure plant fragrances. A little aromatherapy 'pick-me-up' throughout your day. Also available in individual samples or larger sample sets. Freshly handmade in small batches - pure botanical delights for your skin, hair and senses. Free from artificial ingredients - no synthetics, phthalates, alcohol, or paraben materials. 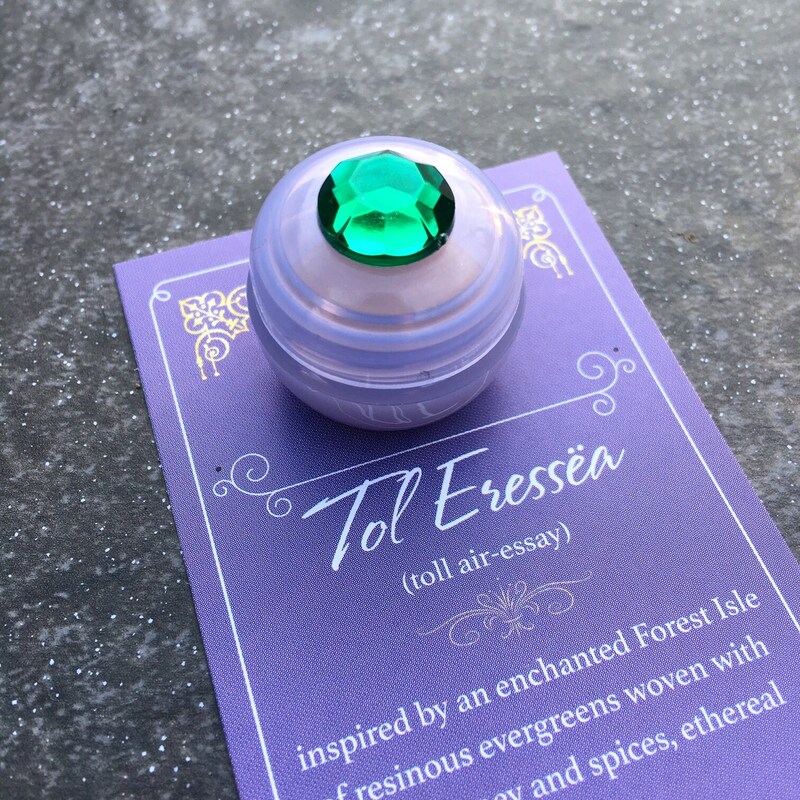 * 1.5 grams of your chosen botanical solid creamy perfume (good for at least 30 applications) is hand poured into a mini violet jar with lid (recyclable, made of polypropylene and BPA-free) decorated with a bohemian jewel. 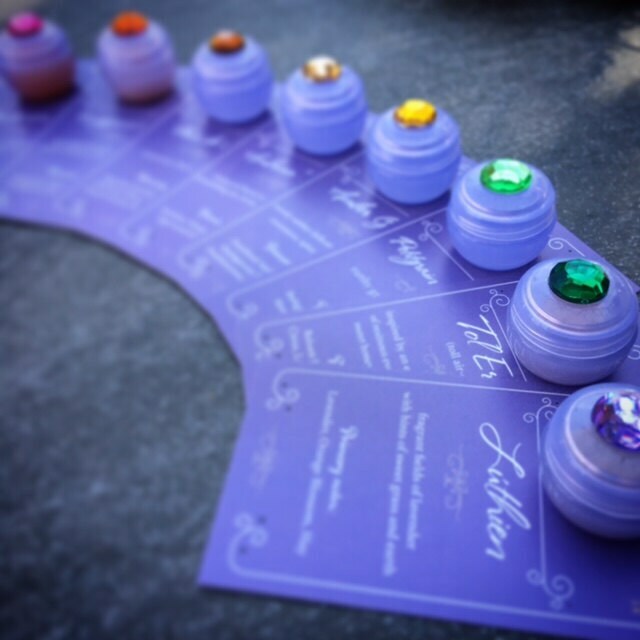 A botanical scent journey card describing each fragrance is also included. 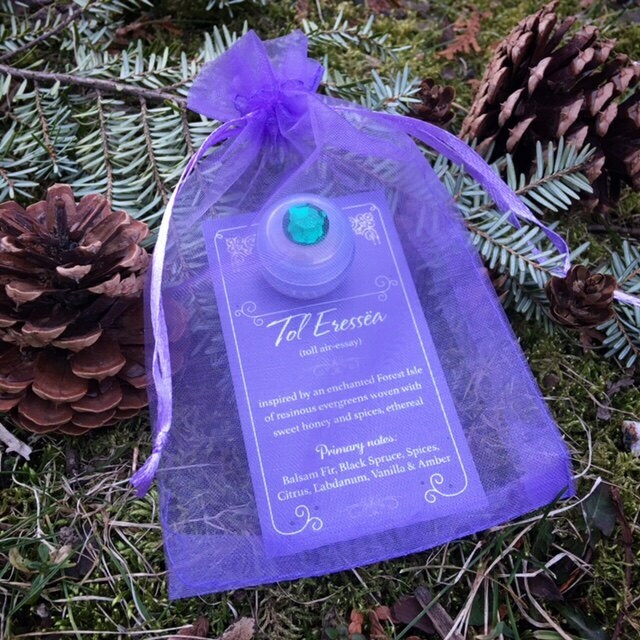 Enclosed in a lavender organza drawstring bag. These make great little gifts! A cute, thoughtful, and eco-friendly way to treat yourself, someone special, BFF, coworker, bridesmaids, etc. Mini sets are made to order and require at least 1-3 days processing time. Please choose 3 samples from the list below and enter your selections in the 'notes to seller' box at checkout, or you may send me a convo through Etsy. *** No duplicates please. All selected samples must be different from each other. If duplicate samples are selected, the order will not be processed. Also, please keep in mind if you do not leave me a note as to which samples you'd like, the order will be cancelled and refunded. 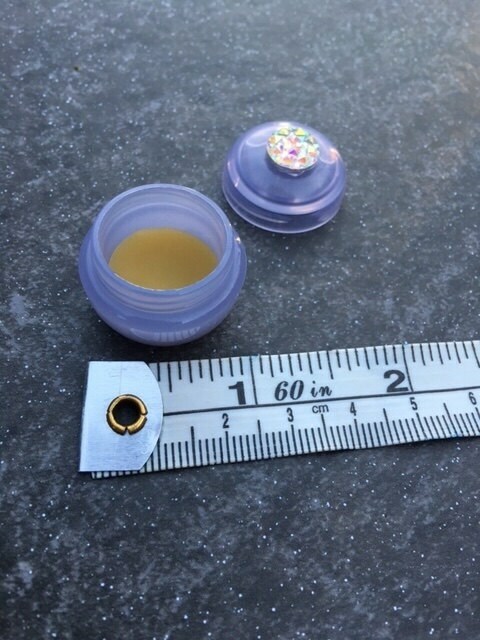 If you wish to order duplicate samples for parties or gifts, please place an order through the individual sample listing available in my shop and select your quantity (or you may click on this link: https://www.etsy.com/listing/512645889/botanical-solid-cream-perfume-sample?ref=shop_home_active_7). I'd also be happy to create a custom listing for you. Main Ingredients: raw organic beeswax (lightly filtered using organic farming methods), organic golden jojoba oil with my own blend of plant and raw material infusions, high-quality organic, wildcrafted, or minimally processed essential oils, absolutes, resins, CO2 extracts, and floral waxes. * Petitgrain & Flowers - aromatic citrus peel oils, orange blossom, leaves and wood over an earthy base of balsamic patchouli, moss, and roots. For those who adore Patchouli and Vetiver! Hand poured and measured by weight, not volume. 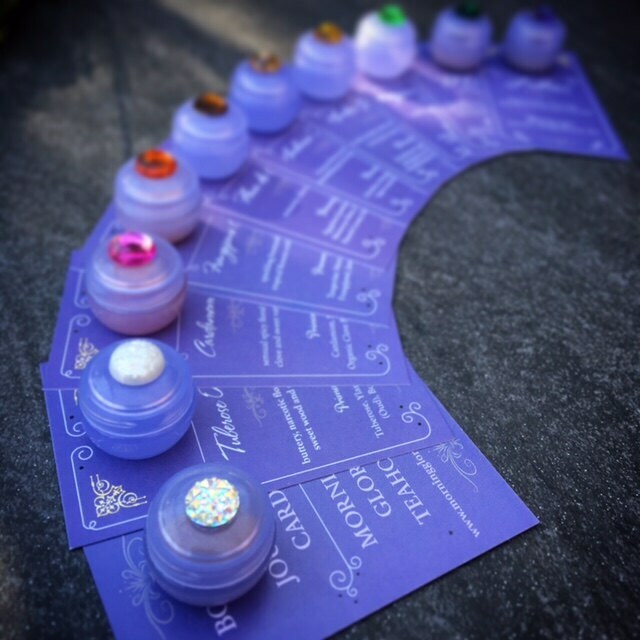 Each mini jar is filled approximately halfway with botanical solid cream perfume (measures 1.5 grams). Please keep in mind, these jars are not completely filled to the top. Not your typical perfume. All of our perfumes are unique blends of pure botanical essences and accommodating notes that evoke memories and emotions - your favorite flower, spice, chocolate, citrus fruit, leather, freshly mown hay, lavender fields, forest walks, your Grandfather's pipe! Most are unisex scents, and can often be layered with one another for an extra dimension of fragrance. Our perfumes leave a soft scent on the skin that stay close to the wearer and don't overpower the room. Very personal scents! Great for those who are sensitive to synthetic fragrances, or suffer from allergies or asthma. Due to its pure nature, this fragrance may need to be re-applied throughout the day to be enjoyed, depending on the wearer's body chemistry. Please note - The raw organic beeswax used in this blend is lightly filtered using organic farming methods. You may notice tiny brown specs of honeycomb and other natural matter from organic processing. This method preserves the natural character of the beeswax. Warning: While all skin types and individuals react differently to skin care oils, please do not use if you are sensitive or allergic to certain essential oils or tree nut oils. Even though all of the ingredients I use are organic or minimally processed, it's still a good idea to do a patch test first. Pregnant or nursing women should always consult their physician before using any products containing essential oils. 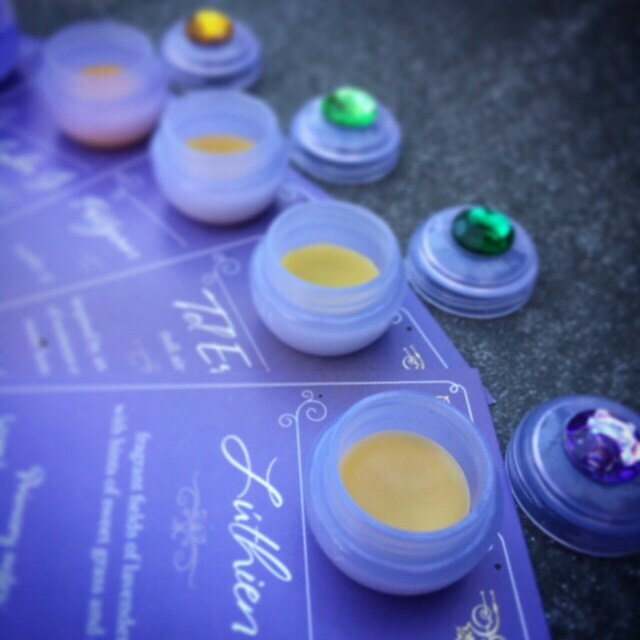 I chose Fleur de Cocoa, Ambrosia Nectar, and Dreamflower. They all smell gorgeous but Fleur de Cocoa was my Main reason for ordering and I am in Love! I’ll definitely be ordering a full size.